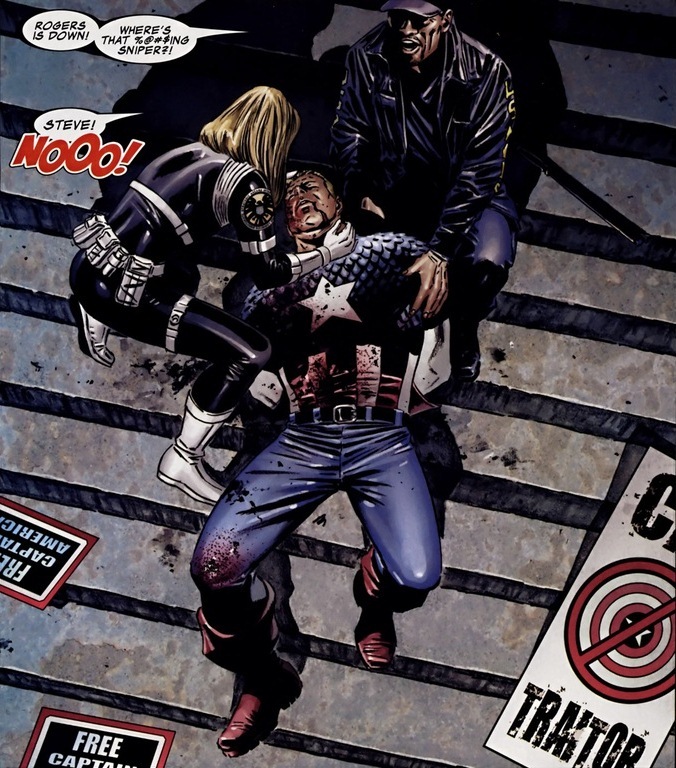 In Captain America #25, volume 5, written by Ed Brubaker and drawn by Steve Epting, the good captain gets assassinated. He didn’t get pummeled to death saving a city like Superman. 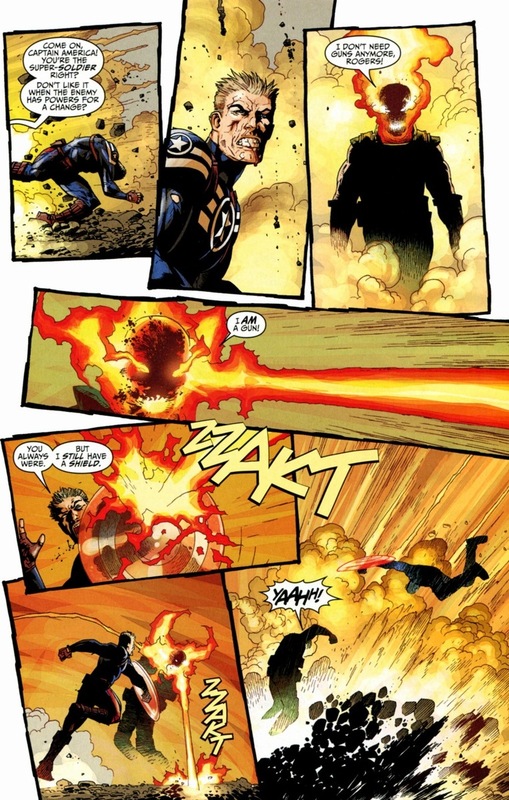 He didn’t blow everything up to stop an alien invasion like Hawkeye. 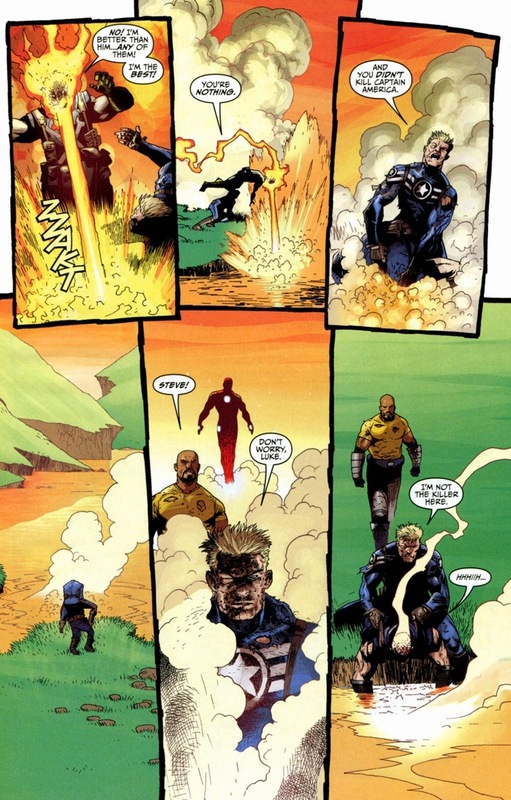 He didn’t sacrifice himself to cure a deadly virus like Colossus. Nope, a sniper takes him out. This takes place in the immediate aftermath of the Marvel Civil War. Real fast if you don’t know. The government passed a law requiring superheroes to unmask and register with the government. 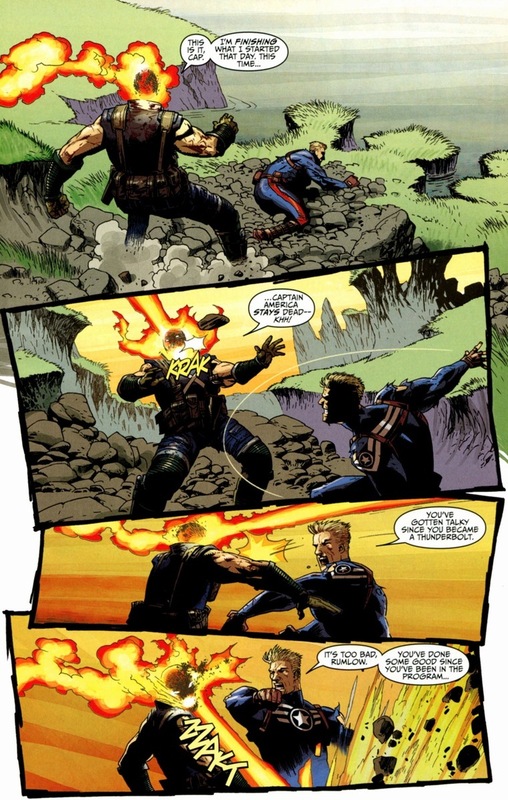 Iron Man agreed and Captain America didn’t, so the two superhero teams fought and Captain America eventually surrendered. As he was on his way to court for his trial, the sniper hit him. But who would be brazen enough to pull a stunt like that? Despite having zero superpowers except major cajones, Crossbones succeeded far beyond normal expectations of henchmen. 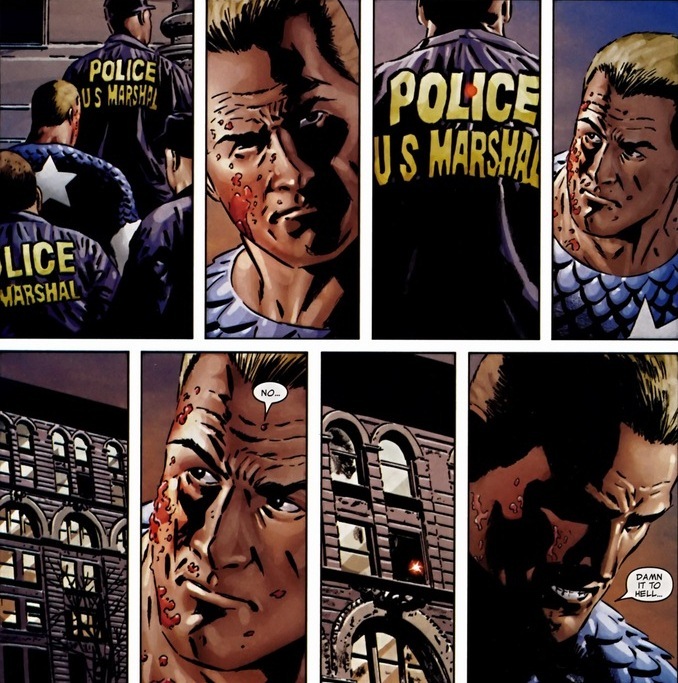 Eventually caught and imprisoned after Captain America’s assassination, he received a chance for redemption by joining the Thunderbolts program. I’ve covered them before, but think of a superhero team comprised entirely of former supervillains attempting to do good on the government’s payroll. A mission gone haywire in Thunderbolts #150, written by Jeff Parker and drawn by Kev Walker, and Crossbones attempts to make his escape. 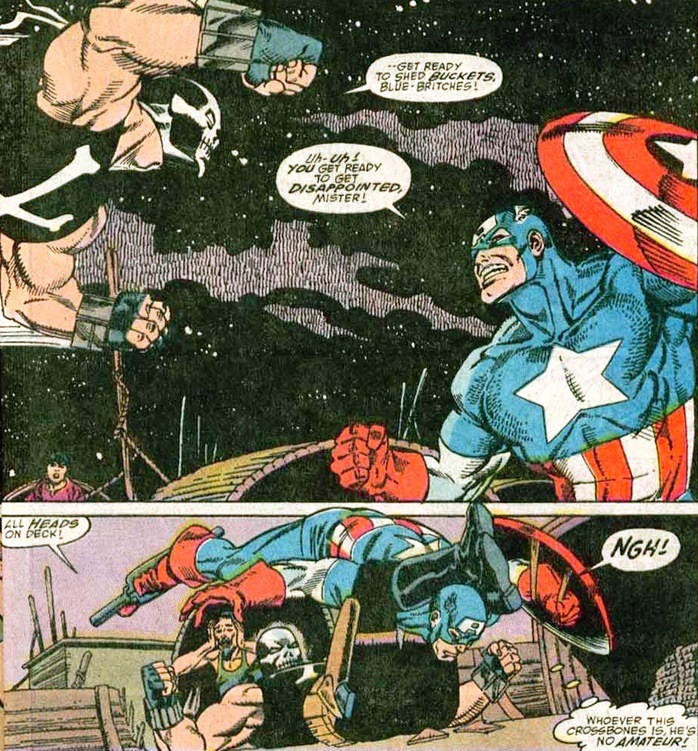 Four years after Captain America’s death and resurrection, the two finally get that rematch we’ve all been waiting for. Okay, so he has a new superpower. He can now shoot head lasers. Happened a few issues earlier. By the way, I really like how the panels are laid out in this issue. The uneven and frantic placement showcases both the speed and intensity of the fight. It’s a cool and well-executed idea. 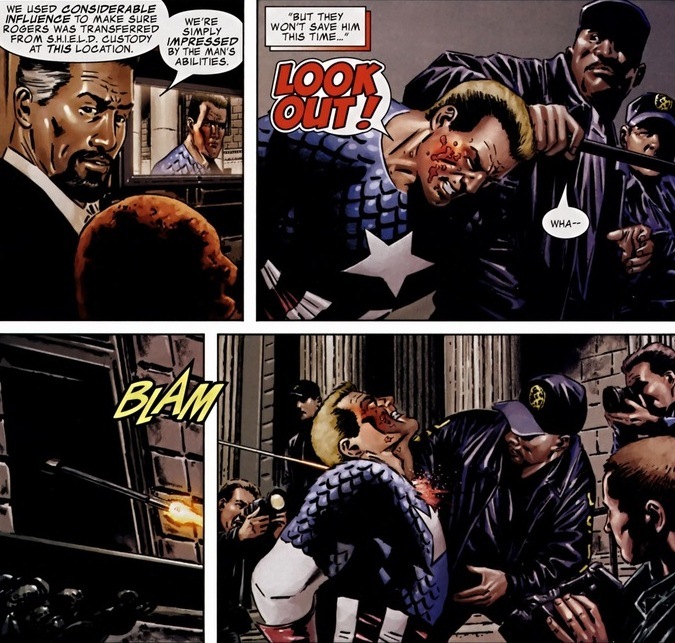 Though speaking of executions, Steve Rogers is trying to avoid his second. If the same bad guy kills you twice, it starts to get embarrassing. Y’see, the problem with being a henchmen is simple: a complete lack of respect from the superhero community. When Doctor Doom or Magneto start chucking cars, the good guys immediately rush to stop them. I’m talking alarms blaring and Nick Fury screaming at every SHIELD operative and costumed hero in the city. Not so much with say, Toad. 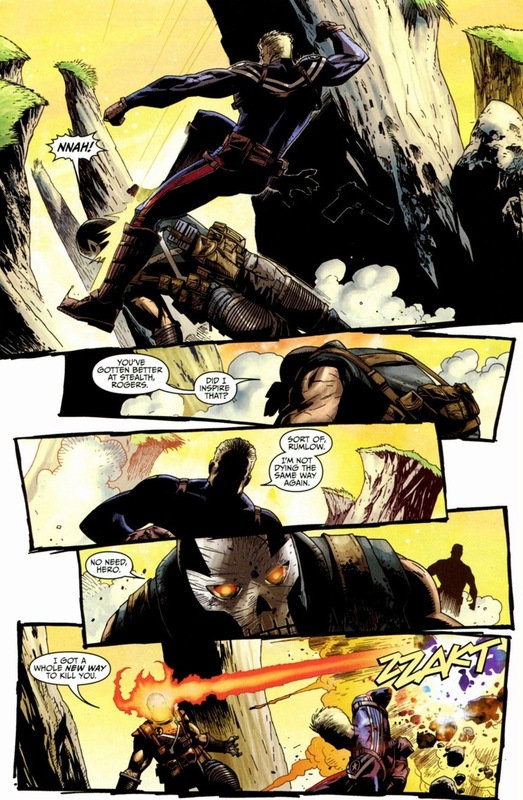 Look, Crossbones is absolutely a force to be reckoned with. He once defeated the entire Young Allies team at once by himself. 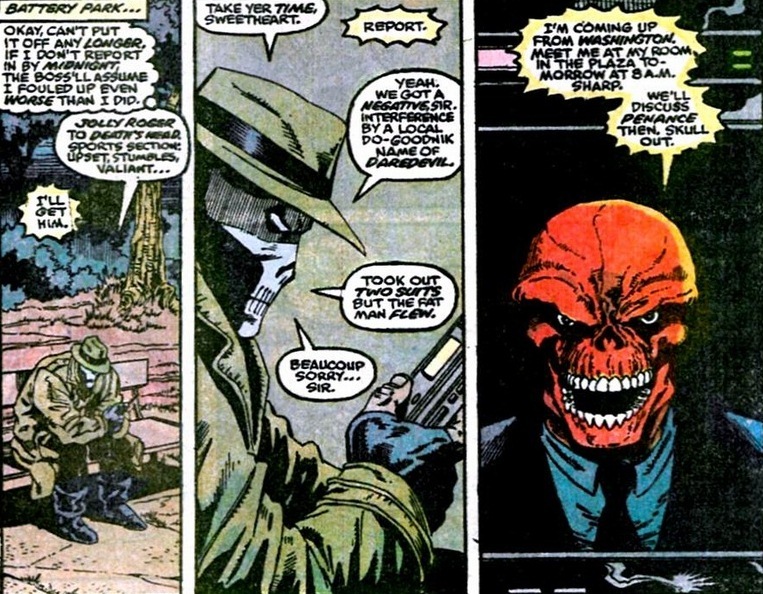 But he’s been Red Skull’s sidekick for twenty years and that comes with a not-so-impressive reputation. I mean, the Vulture’s an elderly man with artificial wings, but at least he’s not taking orders from anybody. Even supervillains like Elektra cost millions of dollars every time a supervillain requests her services. That’s entrepreneurship. 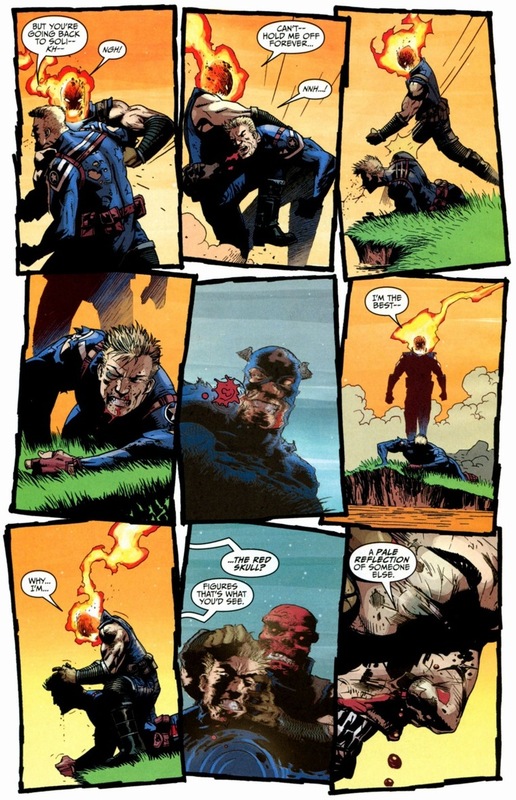 Crossbones pours Red Skull’s coffee, picks up his dry cleaning, assassinates his arch-nemesis. Stuff like that. 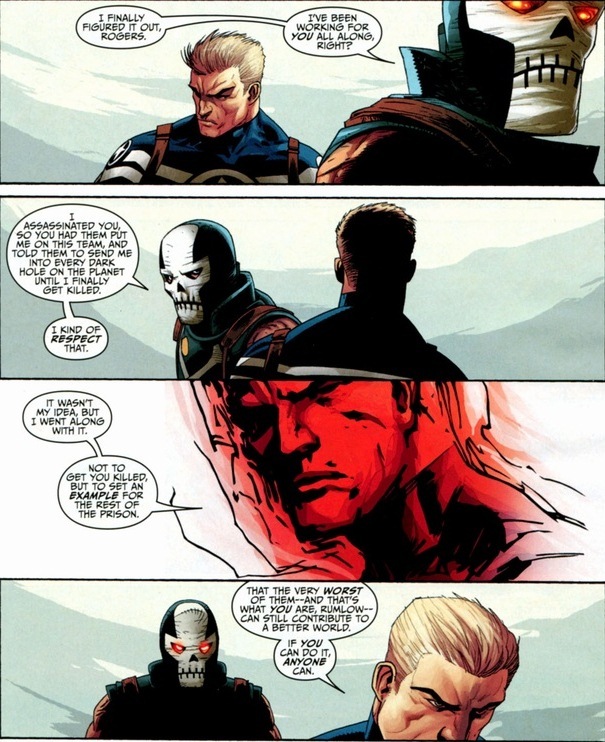 So how does Crossbones take Captain America’s insult? As you expect, not well. Dude gets labeled irredeemable and stuck in prison to live out his life sentence. Well, nine issues later he escapes, but that’s another story for another day. 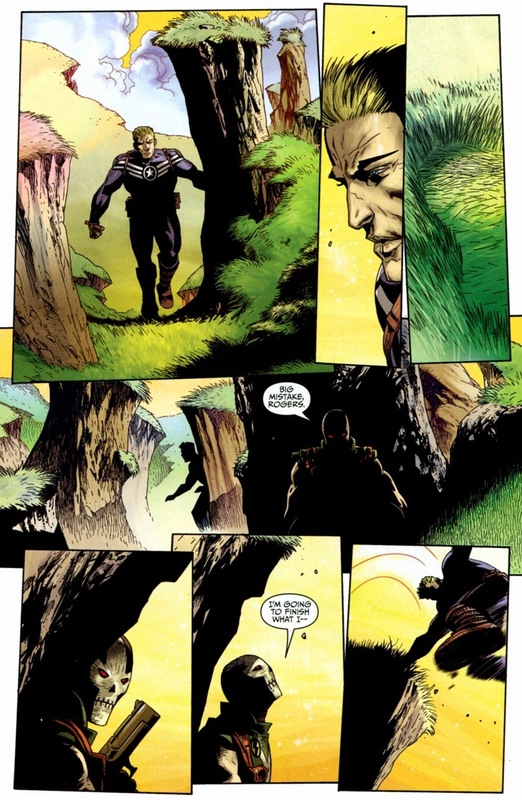 As we wrap up, we go back to a conversation between the two at the beginning of the issue. Lesson learned today?